3 Time Oceania Champion and 2009 Australian Open Pro Time Trial Champ Bridie O’Donnell has been announced as one of the ten elite women to contest the 2nd annual Amgen Tour of California Women’s TT presented by SRAM. The event, run in conjunction with the Mens Stage 5 of the Amgen Tour of California in Bakersfield, is set to once again showcase the very top female Time Triallists in the world, with 2008 Olympic Gold Medal Winner Kristin Armstrong (USA) recieving top billing against esteemed company including Sweden’s Emilia Fahlin (Specialized Lululemon) and USA’s Alison Powers (Now and Novartis for MS). For Vanderkitten-Focus, the invite represents an important milestone in the development of the squad as a top tier team. According to Vaderkitten-Focus Sports Director Jono Coulter: “Vanderkitten has always strived to empower women through athletics, and we are thrilled that AEG and Medallist have once again created an event in which the worlds best female cyclists are showcased alongside the best male riders in the world at their event. Vanderkitten owner Dave Verrecchia has consistently built upon the success of the program every year, and we were thrilled to be a part of the inaugural Amgen Tour of California Women’s Criterium in 2008, where the kitties were among the crowd favourites! Over successive years we have built an International squad capable of competing on the world stage and now, with the inclusion of Bridie, have one of the worlds top Time Triallists on our team. 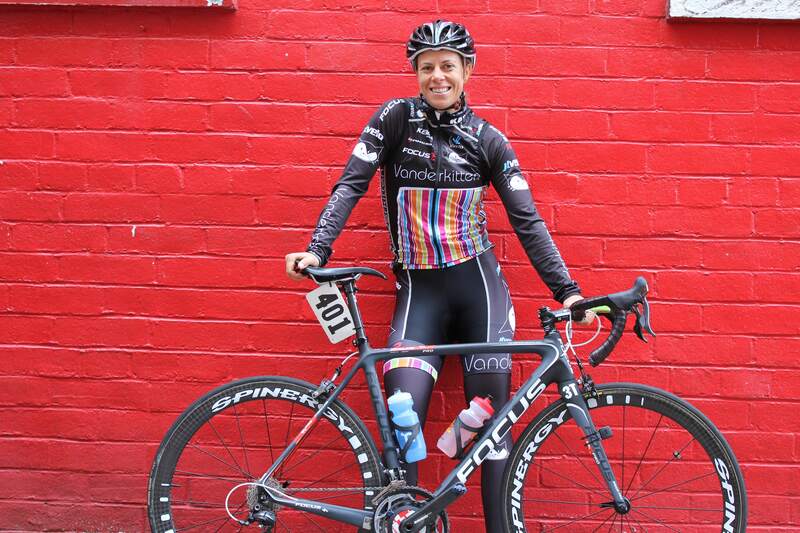 To have Bridie rocking the Vanderkitten-Focus kit in one of the most prestigious specialty women’s events in the USA. We could not be more happy”. Bridie will race a 2012 Focus Izalco Chrono 1.0 at the event, with Kask K.31 Chrono Helmet giving her an aero advantage over the 29km slightly rolling course. This entry was posted in Uncategorized and tagged Amgen, Bridie, California, procycling, vanderkitten, women's cycling by Vanderkitten. Bookmark the permalink. Well, that seals it. Definitely going to make the drive out to Bakersfield to catch Stage 5 + the Women’s TT.